Administrators, instructional leaders, teachers, curriculum directors, and all educators are invited to a MAGICAL conference experience! Educators are driven by a mystical force--the WHY--the reason you've chosen this career! Learn how to harness your own WHY, then join colleagues from across the state to explore purpose-driven practices that will transform your WHY into HOW. Connect on the course, Wednesday, June 12, before the conference. Golfers must register by May 10. Click below for details and registration. Check out the schedule of events, including our pre-conference golf outing, Edcamp, clinic descriptions, and more! Learn and play at the premier shopping, dining, and entertainment district in Columbus! BOOK FAST: The hotel will sell out! 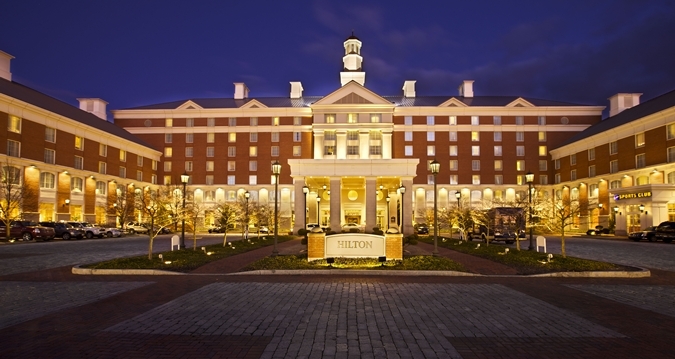 Book your room at the Hilton by May 13, 2019 for discounted conference rates. 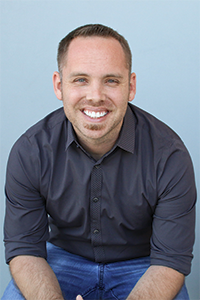 Todd Nesloney (often referred to as @TechNinjaTodd) is the Principal/Lead Learner at a PreK-5 school in Texas. He is an award winning author for his work in co-authoring "Kids Deserve It!" and "Flipping 2.0: Practical Strategies for Flipping Your Class" as well as his children's book "Spruce & Lucy". Todd has also been recognized by the National School Board Association as one of the "20 to Watch" in Education, by the Center for Digital Education as one of their "Top 40 Innovators in Education", by the BAMMYs as the "National Elementary Principal of the Year" and the "National Elementary Teacher of the Year", by the Texas Computer Education Association, and by the White House as a Connected Educator "Champion of Change". Todd is passionate about education and innovation. Todd was a classroom teacher for 7 years before taking the leap straight from classroom teacher to campus principal in Navasota, Texas. Todd also travels and speaks about his innovative practices and how we have to stop making excuses on why we can't do things for our students. Todd also speaks about his use of technology in the classroom and with his school and gives all educators ideas on how to continually utilize the tools at our disposal to create the best possible learning environment for children. Sara Holbrook is a full time educator, author/poet and consultant who brings practical knowledge to the classroom helping students to develop the complex thinking and literacy skills they will need to succeed in the 21st century workplace. With over 30 years’ experience as a writer in the fields of education, law, public housing, and drug prevention, she has been teaching in classrooms around the US and abroad for over 20 years. She is also the author of more than a dozen books for children, adults and teachers as well as an award-winning performance poet. Michael Salinger has been writing and performing poetry and fiction for over 30 years. His work has appeared in dozens of literary journals published in the U.S.A. and Canada. Eight time captain and coach of the Cleveland Poetry Slam team that represented the city at the National Poetry Slam competition, he has also served as an educational consultant and board member to Poetry Slam, Inc. and is the founder of the teen writing and performance program at Cleveland’s Playhouse Square Foundation – the second largest performing arts center in the United States after Broadway. 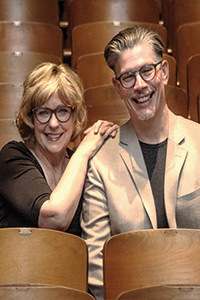 Known for their lively, informed and interactive presentations, both Sara and Michael are frequent speakers and keynoters at state, national and international literacy conferences, as well as providing assembly presentations for students at all grade levels, classroom workshops on writing and public speaking skills, and teacher professional development. Together they have visited over 30 international schools, which has helped them develop expertise in working with second language learners. They are the authors of over 20 books of poetry for adults and young people as well as four teacher professional books. 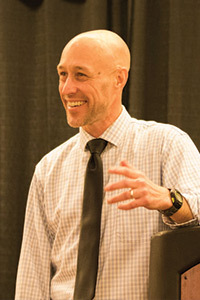 Dr. Joe Sanfelippo is the Superintendent of the Fall Creek School District in Fall Creek, WI. The Fall Creek School District was named an Innovative District in 2016 and 2017 by the International Center for Leadership in Education. Joe holds a BA in Elementary and Early Childhood Education from St. Norbert College, a MS in Educational Psychology from the University of Wisconsin-Milwaukee, a MS in Educational Leadership, and a PhD in Leadership, Learning, and Service from Cardinal Stritch University. Joe is also an adjunct professor in the Educational Leadership Department at Viterbo University. Joe has taught Kindergarten, 2nd Grade, and 5th Grade. He was also a school counselor and high school coach prior to taking on an elementary principal position in 2005. He has served as a principal in suburban and rural Wisconsin. Joe co-hosts the Hacking Leadership Podcast, and co-authored The Power of Branding-Telling Your School's Story, Principal Professional Development: Leading Learning in a Digital Age and Hacking Leadership: 10 Ways Great Leaders Inspire Learning That Teachers, Students and Parents Love. He was selected as 1 of 117 Future Ready Superintendents in 2014 and 1 of 50 Superintendents as a Personalized Learning Leader in 2016 by the US Department of Education. He attended summits at the White House for both distinctions. Joe was named 1 of 5 K-12 administrators to watch in 2018 by Education Dive. He has been a featured speaker in multiple states in the areas of Advancing the Use of Social Media for School Leaders, Telling Your School Story, Creating a Culture of Yes, and Personalized Professional Growth for Staff. Go Crickets!! OAESA's conference is a favorite of Ohio educators! “Great conference with exceptional keynotes and sessions!” "I came back re-energized with loads of reflection and ideas!! "I truly left saying it was the best conference I have attended!" OAESA's annual conference is the only educator conference in Ohio that allows you to pay for registration using the proceeds from your school Book Fairs. Contact 800-543-0112 to schedule a Book Fair today! 4. We'll take it from there! Register by April 30, 2019 for your chance to win one of two $500 prizes toward classroom supplies and projects at your school, courtesy of OAESA's corporate partner, Horace Mann, and DonorsChoose.org!